Pangolins are the world’s most trafficked mammals. With high levels of hunting and poaching for the illicit trade in their meat and scales (for traditional medicines in Asia – primarily in China and Vietnam), there has been a dramatic decrease in pangolin populations over the last 15 years. Deforestation of their natural habitats is also an issue. Funds from your adoption will support our work at Sangha Lodge in the Central African Republic. The lodge is working to help wildlife in need, caring for animals and supporting the community. 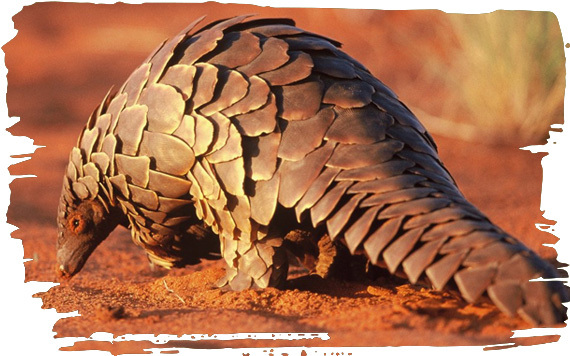 Your adoption will also support our ongoing camapign to raise awareness of the plight of wild pangolins, plus investigations into illegal poaching and the illicit trade in pangolin by-products. 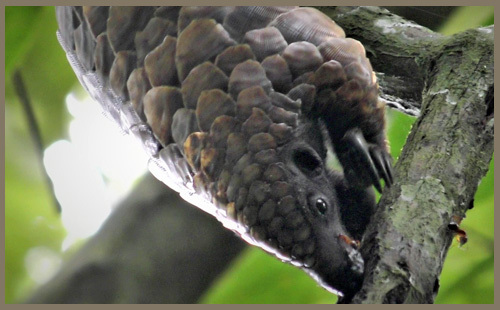 You can help ensure the future of wild pangolins by adopting Pangi below. Pangi was only young when she was found dehydrated and underweight. Following her rescue she gradually recovered and is now cared for in a small eco-lodge in the Central African Republic. Help us care for wild pangolins.